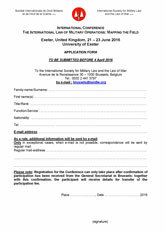 The International Society for Military Law and the Law of War and Exeter Law School cordially invite you to participate in a conference on ‘The International Law of Military Operations’ taking place on 21-23 June 2016 in Exeter. The aim of the event is to deepen our understanding of the international law of military operations from a comparative and practical perspective. Military deployments in the territory of other States are subject to a diverse range of rules under international law. In recent years, it has become increasingly common to refer to these rules as ‘operations law’ or the ‘international law of military operations’. Despite the growing popularity of the term, its meaning and utility remain uncertain. The conference will map the field by focusing on the scope and concept of operations law, its current challenges and future training needs. The event will offer a unique opportunity for legal advisors and others working in the area to engage with world-leading experts from the UK and abroad to debate some of the most pressing legal challenges facing military operations. The International Society for Military Law and the Law of War is a non-profit organisation set up under Belgian law for the study and dissemination of international humanitarian law. To this end, the Society regularly organizes events such as seminars, expert meetings and congresses. 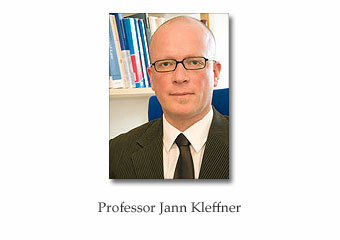 Founded in 1988, the Society has around 750 members from all over the world, working in academia and legal practice. The Society serves as the liaison organisation for its 22 national groups. In 1997, it has obtained consultative status to the United Nations. Find out more. Exeter Law School is an ambitious, dynamic and friendly law school delivering a first class legal education with an outstanding international research reputation across a range of areas. Based in one of the most beautiful parts of the UK, we offer a cosmopolitan teaching environment attracting students, staff and visiting scholars from around the world. Our research has been of benefit to policy makers and governments, legal professionals, third sector organisations (including international NGOs) and the general public. Find out more. The Centre for Conflict, Rule of Law and Society (CRoLS) brings together law academics at Bournemouth University engaging in interdisciplinary research into and scholarship around conflict, the rule of law and the role of legal regulation in our society. The Conflict Group of CRoLS researches terrorism and hybrid threats, hybrid warfare and cyber within the legal context of public international law, international human rights, humanitarian and criminal law as well as transitional justice. 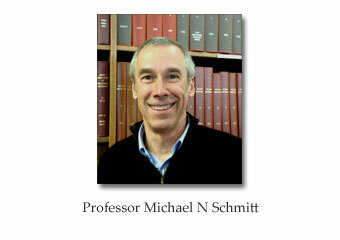 The Centre is led by Associate Professor Sascha-Dominik Bachmann. Find out more. The promotion, implementation and development of international humanitarian law (IHL) is a statutory responsibility of the British Red Cross. The BRC is also distinctive in the humanitarian sector in that the organisation is officially recognised as an auxiliary to the public authorities in the humanitarian field. 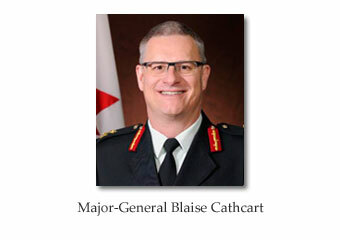 This special role in IHL and the auxiliary function mean that the BRC has an enduring responsibility to co-operate with the British government and armed forces in educating people in IHL, in ensuring respect for that law, and in protecting the integrity of the red cross, red crescent and red crystal emblems. This is one of the unique aspects of the organisation. Internationally the British Red Cross’s work in IHL includes participation in the quadrennial International Conference of the Red Cross and Red Crescent and related follow-up processes, and co-operation with States and National Societies in the framework of the Commonwealth. Find out more. 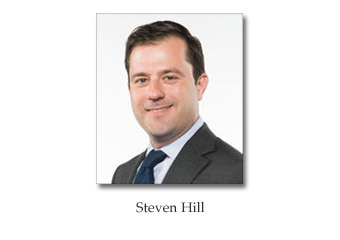 The UK Group of the International Society for Military Law and the Law of War was founded in the approximately 1986 and serves as a national branch for its members and those interested in the aims and objectives of the International Society. These are: to encourage the detailed study of all areas of law of direct relevance to the armed forces – primarily national military law and international humanitarian law – and to further their dissemination. The UK Group has for more than two decades served as a forum in which its different constituencies – academics, military and government lawyers, interested private practitioners, members of non-governmental organisations and advanced research students – are able to meet and discuss matters of common interest. The University of Exeter combines world class research with excellent student satisfaction at its campuses in Exeter and Cornwall. 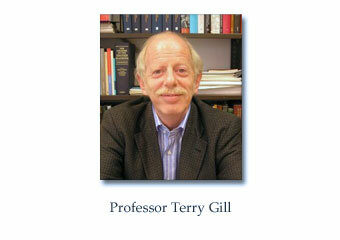 It is a member of the Russell Group of leading research-intensive universities. Formed in 1955, the University has 18,000 students from 130 different countries. Its success is built on a strong partnership with its students and a clear focus on high performance. Recent breakthroughs to come out of Exeter’s research include the identification and treatment of new forms of diabetes and the creation of the world’s most transparent, lightweight and flexible conductor of electricity. 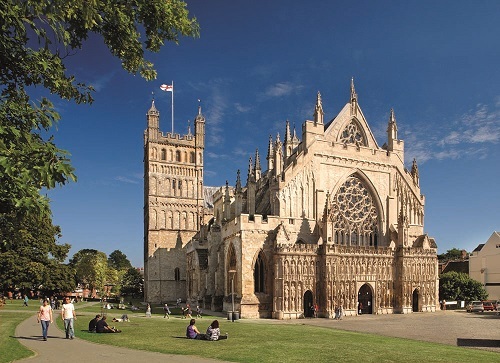 Exeter was voted the Sunday Times University of the Year 2012/13. It is ranked amongst the UK’s top 10 universities in the Higher Education league tables produced by the Times, the Guardian and the Sunday Times. It is also ranked amongst the world’s top 200 universities in the QS and Times Higher Education rankings. Participants are staying at Holland Hall, Clydesdale Road, Exeter, EX4 4SA (number 62 on the campus map). The conference takes place in the Henderson Lecture Theatre of the XFI Building, Rennes Drive, Exeter, EX4 4ST (building 30 on the campus map). Travel to the campus is an individual responsibility. Foreign visitors to the UK may have to apply for a visa at the appropriate Embassy or Consulate of the United Kingdom of Great Britain and Northern Ireland. Participants are responsible for the timely application for their visa. The participation fee for this residential Conference is €595 for members of the International Society for Military Law and the Law of War and €650 for non-members. This fee covers participation in all aspects of the Conference as outlined in the programme, including accommodation with breakfast on campus for three nights, from 20 to 22 June 2016. Please note that UK residents and members of the UK Group of the International Society are requested to contact the General Secretariat for additional registration details and a separate registration form. Conference participants who are paying for their accommodation and dinner expenses may do so online. Upon completing registration and payment, participants will receive a receipt of payment via email. Please complete payment by the end of Monday, 27 June 2016. Please direct any queries regarding registration to the General Secretariat. The full contact details may be found in the Application Form. 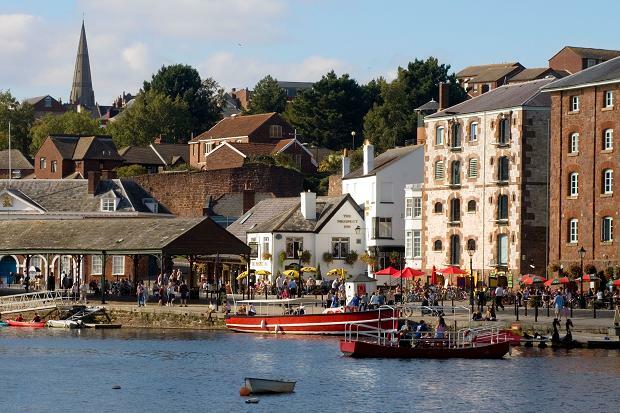 ​International conference on the concept, challenges and future of operational law, taking place on 21-23 June 2016 in Exeter, United Kingdom.